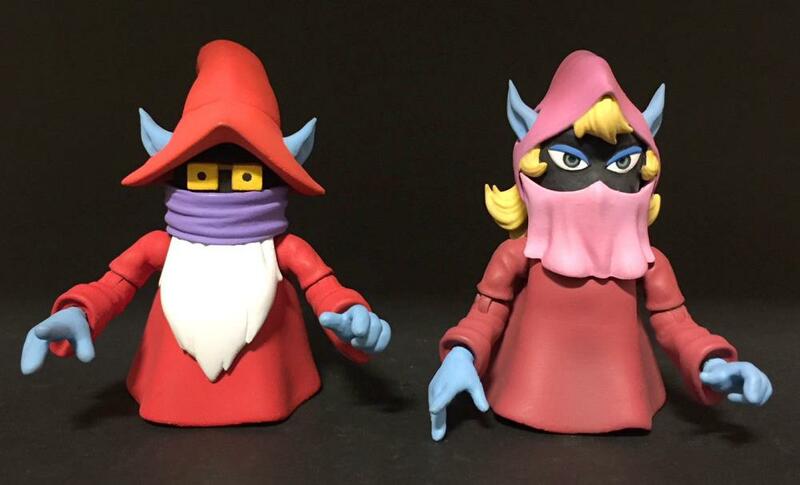 A Trollan 2-pack! 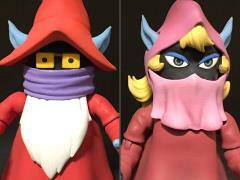 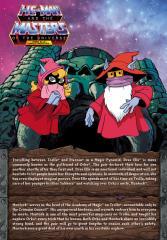 The heroic Dree Elle is the girlfriend of Orko, and watches over Montork and takes care of her younger brother Yukkers. 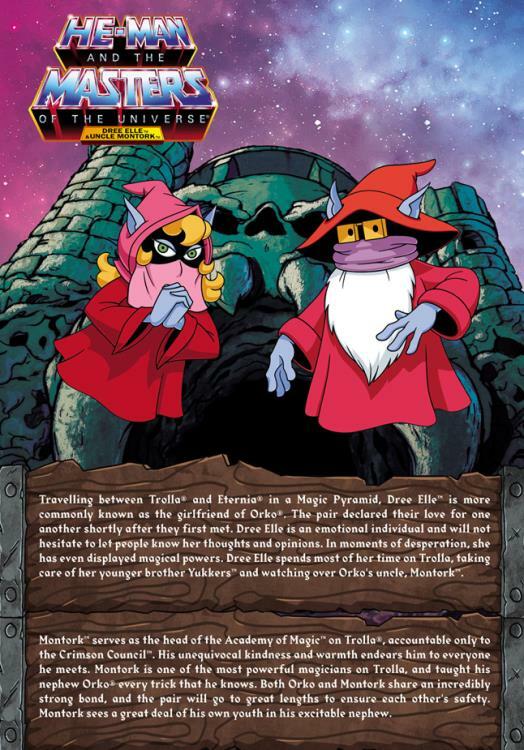 As the heroic head of the Academy of Magic, Uncle Montork is uncle to Orko and one of the most powerful magicians on Trolla.